If you’re a student in Florida, life is sweet. The weather is beautiful, the culture is vibrant, and there’s so much to do and experience. But if you’re a student, you’re also living on a student budget. Fortunately there are many opportunities to give your wallet a break. 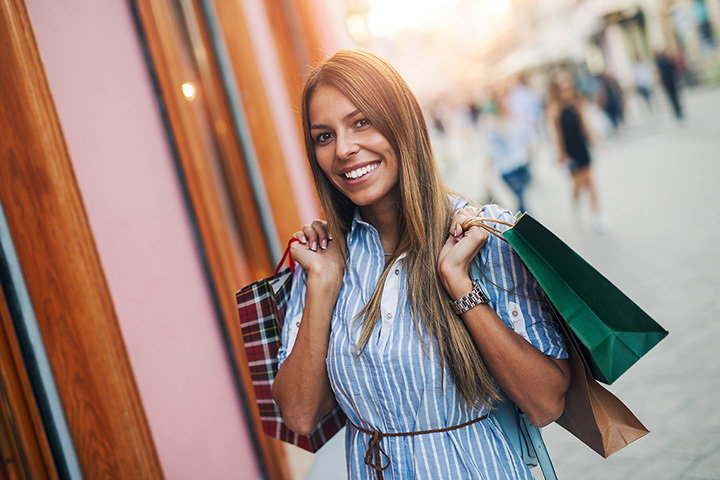 From rock climbing gyms to museums to your favorite clothing stores, here are a few of the best student discounts available in Florida! This epic nightlife hotspot will have you visiting every Thursday. Students with a valid ID get $1 shots until midnight and $3 fireball and lemon drop shots. Cover is just $10, so you can stretch your party budget to the max. From groceries to dorm essentials, Sam’s Club is a one-stop shop for college students. You can grab a collegiate membership by verifying your student status via UniDays and start taking advantage of bulk and discount pricing. Plus, you get a free $15 e-gift card with your membership to help make your membership even cheaper. If you’re looking to stay fit, you’ll love the discounted membership at this rock-climbing gym. Perfect if you climb once a week or more, their monthly student memberships are just $45. It’s way more fun than a traditional gym, which might encourage you to go “work out” more often. College care packages are 20 to 30 percent cheaper to send, thanks to the FedEx student discount club. Students with a valid ID can get the discount at FedEx stations. Whether you’re shipping supplies home for the holidays or returning textbooks for cash, FedEx helps you save big. There are a few strings attached, but if you meet the criteria the multiple student discounts can pay off big. For the good student discount, you must be a full-time college student and maintain a “B” average or better. They also offer special discounts for fraternity or sorority members, honor societies, and good driver discounts, so make sure you ask about what you might be eligible for. Students and teachers alike can stock up on styles with savings. Just present your student ID and score a 15 percent discount on your purchase. It’s an easy way to keep your closet full on a college budget without looking like you’re on a college budget. Select Cinemark theaters offer a student discount with valid ID. You’ll need to buy your tickets at the box office instead of online, but the savings make it worth the wait in line. You’ll want to check with your local theater to verify they participate in the program or find your nearest participating theater via their website. The Dali Museum is truly a sight to behold, and students can soak in its culture and splendor at a discount. Show your ID and entry is just $17, a $7 savings over the regular price. This discount is one of the biggest perks of being a USF student. You can grab an annual pass with unlimited visits to Busch Gardens and free parking for $99. Or, if you’d prefer a one-day pass, students can head to the park for $60, or spend the day at their sister park, Adventure Island, for just $29. This fast-serve Mexican chain restaurant is a college student’s best friend for many reasons. Use your ID to get a massive burrito for just $5 so you can stay full between classes. Plus, service is fast so you can enjoy a quick and easy meal around your schedule.